Finding the money necessary in order to be able to start your own bounce house rental business can be tricky, especially if you are not already independently wealthy. Believe it or not the vast majority of people who start a bounce house rental businesses work for other companies. They start their business on the side in hopes that they can build a large enough that it can eventually become the majority of their income. But finding the money to start the business is tricky. 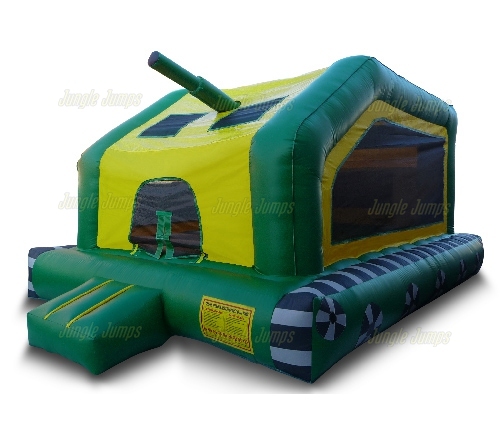 One way to purchase a jump house for sale that you have seen is to get a loan. But how do you know you’re getting the right loan for you? Firstly, it is important that you talk to any current lender you are already working with. Lenders who know your history tend to be much more willing to work with you and to get you an interest rate that you will enjoy. Not only that, many times you can combine any current debts you already go to the company into this new debt which can actually save you a great deal of money in the long run. If you are not working with any lenders, or you are not happy with your current lender, it is time to seek out a new lender. Look, first, for customer satisfaction. Even if you find a bank or lending company that is willing to offer you an amazing deal you will find that the small amount of interest you will have to pay back does not justify terrible customer service you will receive. Make sure you look first and foremost for a company that has a great reputation, especially if you want to make sure that you have much less stress should something unseen happen for your business. Also, make sure you speak with your friends and family and ask them if they have any recommendations about any banks or lending companies you should work with. Quite often you’ll find that friends and family have great recommendations that can help you to find yourself working with a wonderful lender who understands why you want to purchase a jump house for sale and where you plan on your business going. When you own a business there are many things that you need to think about, and one of the biggest things that you need to determine is how much money you are going to willing to spend on – from how much you spend on inflatable jumping castles to how much you spend on advertising. One big mistake that many new business owners make is in spending tons of money on purchasing their inflatable units while earmarking very little money for their website and online advertising. What Is a Cookie Cutter Website? If you’ve ever made cookies during the holiday season than you know exactly what the term cookie-cutter means. Basically, a cookie-cutter website is one that looks the same as all of the other websites. It is a website that is very difficult to distinguish from many different other websites, which, in the business world, means dying a slow death. But why would people use cookie-cutter designs anyway? One of the biggest reasons is because it is so affordable to do so. Getting a WordPress website can be absolutely free which, in most business owners minds, means more profit. Unfortunately, having a WordPress address does not look professional nor does it look unique. In order to truly in sure that your business gets the most attention possible it is important to make sure that your website looks at unique and that it is memorable. This doesn’t mean that you need to have tons of flash or video on the website, but it does mean that it needs to look professional, unique, and that it also needs to be easy to use. 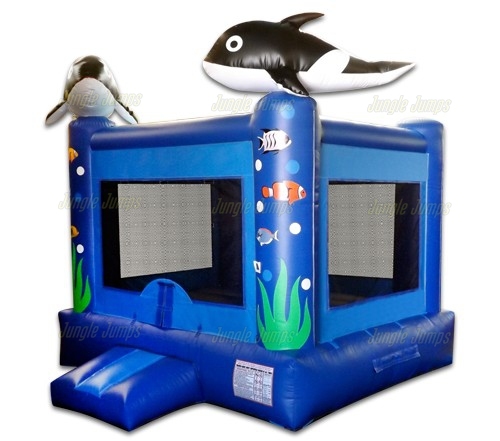 Show off the inflatable jumping castles that you have on the website, but make sure that you post real pictures and not just stock images so that your potential clientele can see exactly what your units look like. Is very likely that you do not have the skills necessary to be able to do this kind of work, and that is okay. That is what professionals are for. By spending a little bit of money to hire a professional website designer you will find that your sales go up much more than they would if you were to have used one of those un-unique, cookie-cutter websites. How Much Can You Make With a Jump Bounce House Rental Business? One of the first questions that anyone asks themselves when they’re thinking about starting a jump bounce house rental business is exactly how much money they are going to be able to make owning their own business. In a dream world you would be able to make enough money with your own business in order to quit your job within a year. Unfortunately we don’t live in a dream world and bounce house rental business owners often discover that it takes a couple of years in order to fully establish your business enough to be able to be financially dependent on it. But if you’re trying to organize and plan and figure out exactly how much you may be able to make with your business, here is a good overview of the potential earnings you could be looking at. As with owning any business, the harder you work at the business the more money you are likely to make. So if you do your best to promote your business on a regular basis, you are more likely to make a substantial amount of money than someone who simply sits back and hopes that their business does the work for them. If you own a jump bounce house rental business, the price that you should put on your rentals depends upon the area of the country that you live in. Some areas are more expensive to live in while others are less expensive, so make sure you do a little research and looking around to discover how much other rental business owners are charging for their units. Let’s start with lower end rental rates to give you an idea of how much you can earn if you charge only a small amount of money for your units. If you have one unit and you charge $75 a rental and you manage to rent it twice a week for the whole year, your earning potential, excluding any expenses, is $7800. If you have two units and you rent them at the same price also twice a week you can double your money making $15,600 a year. Sounds like a nice chunk of change, doesn’t it? It gets better. Once you establish your business and can start charging a higher amount for each rental, you can earn substantially more money. If you own a jump bounce house rental business and you charge hundred and $150 a rental and you rent three units twice a week your earning potential, once again excluding expenses, is $46,800 for the year. In some places this would be enough money to be able to quit your job, while in others it’s a good amount of money for a second job. The matter which way you look at it, if you work hard on your own business you will be able to earn at least enough money to make your life much more comfortable, and potentially enough money to quit your current employment. There is nothing that customers like better than being able to bundle, or package, things together. They feel that if they’re able to do this they can get a great deal, and in many cases that is correct. Packages can be a wonderful way to expand your business and to take it to the next level, but a lot of newer business owners are clueless as to how to create a package and how to market it as well. Hopefully these tips will help. You’ve decided to create a jump house package but you’re not sure where to start. Start by trying to figure out what you have that you can package. 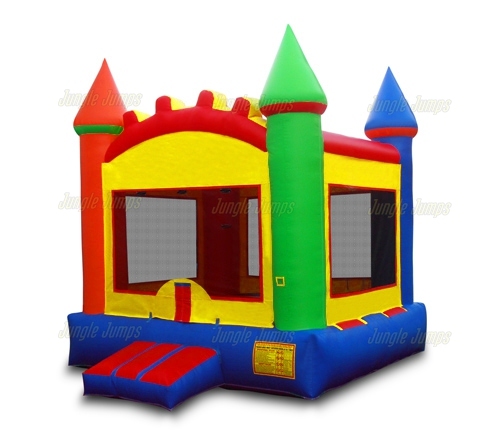 Do you simply rent out bounce houses, or have you allows your business to grow by getting other event rental items? If this is the case then you should definitely think about pairing your rental items with your bounce houses. This way you can give your clients something that they will likely need anyway, and you can promote another section of your business. 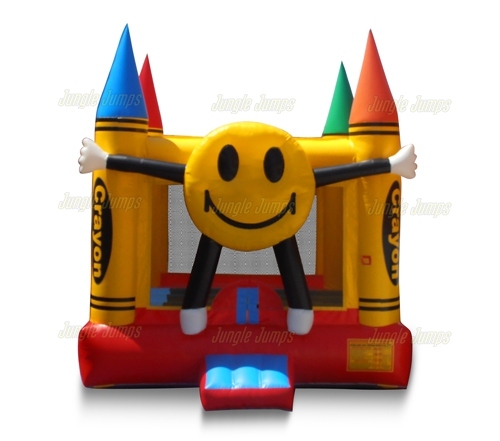 If you don’t have any other rental items, try pairing an inflatable slide with a jump house. This will be a good way to use up two of your rentals at once as well as to be able to make the most of what you have. Once you figure out what you’re pairing together, it’s time to think about how you’re going to advertise them. The easiest way to advertise your deals is to first put the information on your website. Make it front and center and make sure that it’s on the front page of your website. This will help people to know that you’re offering something brand new. Also make sure that you talk about it on Facebook and that you talk about it on your Twitter feed as well. Spreading the word this way is quick, easy, and highly affordable. There are likely a number of ways that you can package, or bundle, your services together. Ask friends and family if you run out of ideas, as they will likely have a number of great ones for you.